Getting a good night's sleep is critical to maintain good health, a better mood, and clear your mind for whatever the day has planned for you. But in practice, whether you're tired or not, the world has a way of preventing it, either through your partner's snoring, your neighbor's music, or the road construction going on right by your bedroom window. It can get rough. So how do you shut out all of the noises that keep us awake at night? A simple headband might just be the solution. Don't miss all of our CES 2015 coverage! AcousticSheep is the developer of SleepPhones, a headband with built-in headphones that fits snugly around your head so that you can listen to music while you sleep. Instead of falling asleep wearing actual headphones or earphones (which are both pretty uncomfortable), you can connect any smartphone via Bluetooth (with the Wireless model) or a stereo cable (with the Classic model). With SleepPhones, you don't have to worry about any cables getting wrapped up in your sheets or the earbud falling out of your ear when you're tossing and turning in bed. Best of all, they're perfect for late-night movie watching in bed, which makes them twice as useful. 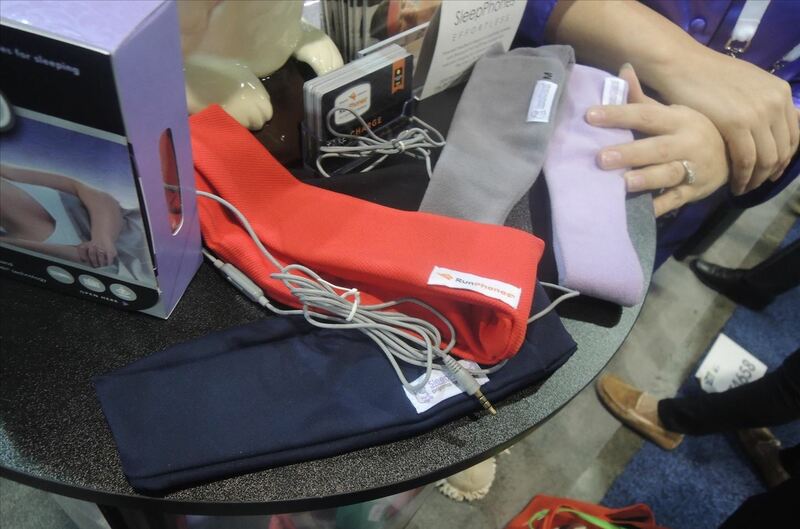 In addition to a sleeping headband, AcousticSleep also has a line of sports headbands called RunPhones. 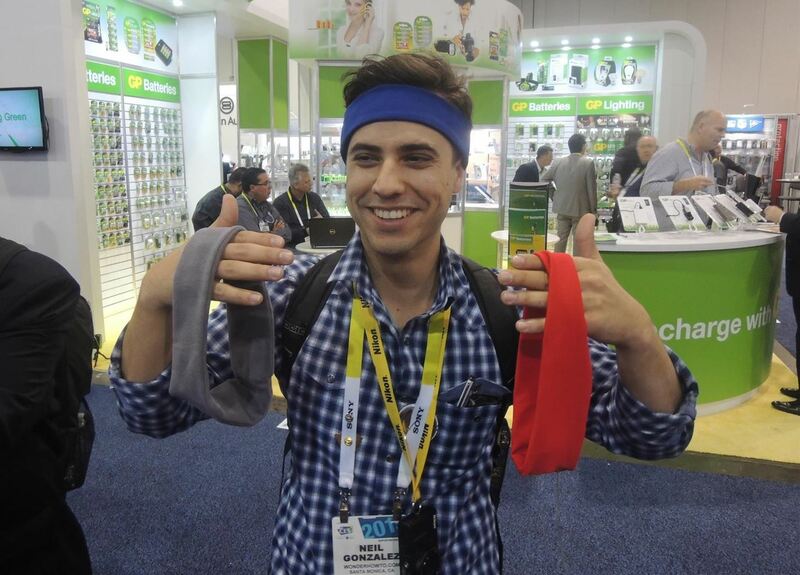 Made from washable fabric (a mixture of polyester and spandex which protects the headphones and microphone), the headband fits comfortably against your your ears, but tight enough that it won't fall off when running around. When I work out, headphones tend to be bothersome when running, whether it's the cables getting caught on my arm or the buds repeatedly falling out of my sweaty ears, so the Wireless RunPhones solves that issue. All models are rechargeable via an included micro-USB cable, and all are made with hypoallergenic fabric that's machine washable, as long as you pull the internal stereo headphones system out. If you do manage to damage the headphones inserts, they do sell replacements.